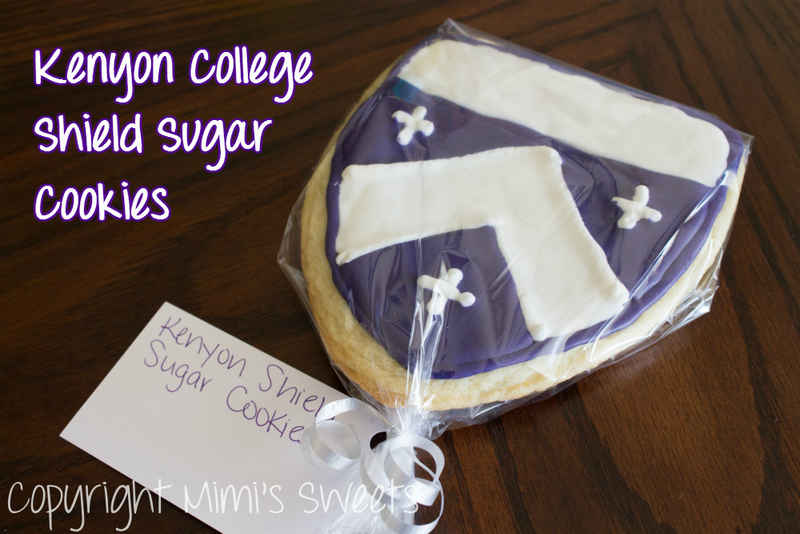 Incredibly yummy hand decorated sugar cookies, filled with a whole lot of collegiate spirit! 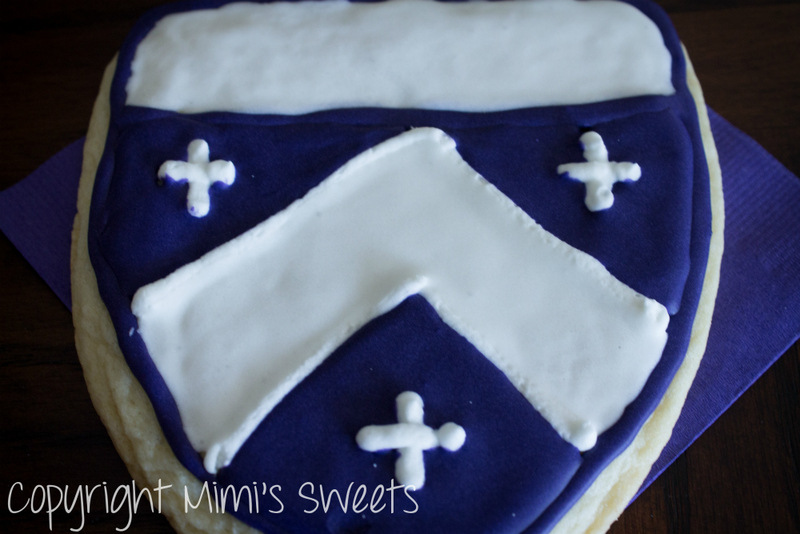 I was inspired to make these after spending a weekend back on the campus of my alma mater, Kenyon College, for my husband's five year reunion. I didn't have a shield cookie cutter and I couldn't find one in the shape of the college's shield, so I made one out of cardboard. If you've ever had the pleasure of meeting Coach Steen, then you know that his swimmers have a desire to please and live for the moments when they receive praise from him. So, to say the least, I was overjoyed when I received his email. As you read, I also made him Cinnamon Chip Scones since he specifically requested them. Anyway, I finished up the shield cookies and had extra purple icing and cookie dough left over-- so, I decided to make some regular ones and decorated them with the rest of the leftover icing (pictured below). 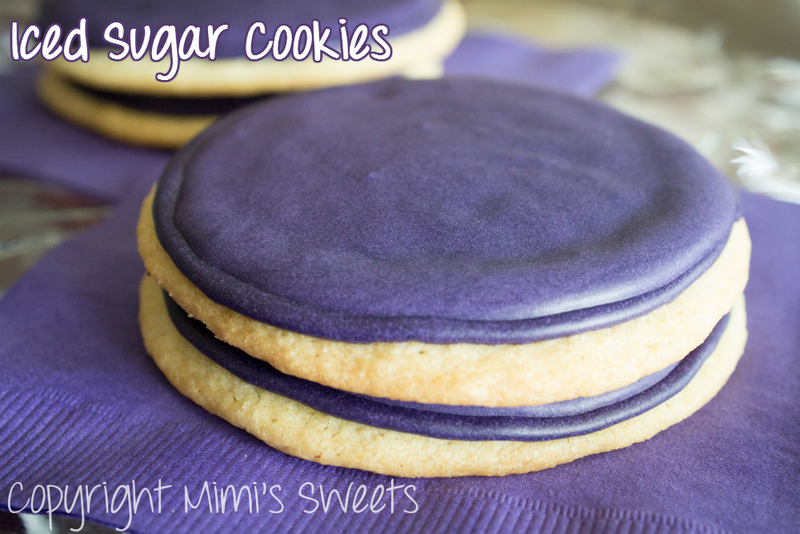 If you're ever in need of specialty decorated cookies or even plain iced cookies, Mimi's Sweets will be more than happy to help you with anything that you need! Kris Caldwell just shared one of your fabulous Kenyon shield cookies with me!! One word....DELICIOUS!! I bake a lot of goodies myself, and from one baker to another, you're the best!! Why, thank you very much, Mary! The compliment is so appreciated... From one Lady to another!